Detaille Island is near the coast of the Antarctic Peninsula, but south of the polar circle and accordingly off the (relatively) well-trodden tourist path of the Gerlache Strait and Lemaire Channel areas further north. Next the nice views to the peninsula and over stranded icebergs, the small island – it is only a few hundred metres across – has the old British “Base W”, built in 1956 and abandoned already in 1959 because of difficulties to reach the island due to the often heavy ice situation. 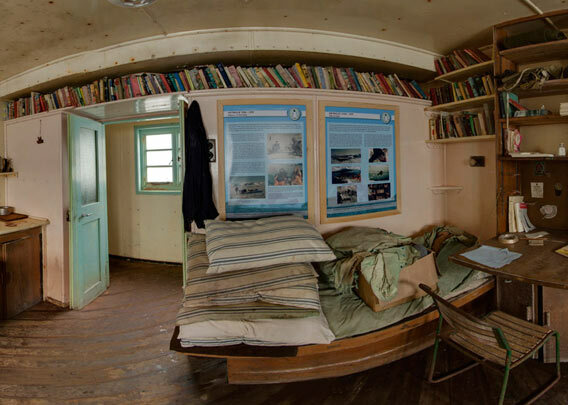 Base W has recently been renovated and offers some very nice insight of life of an old Antarctic base to the occasional visitor.